A few weeks ago, we posted a blog discussing how artificial demand and leaks can lead to poor performance and expensive waste. Today, I’d like to review how following a few simple steps can help optimize your current compressed air system and reduce compressed air usage. The first step you want to consider is measuring the air usage in the system. To do this, you want to start at the compressor and check individual leads to each drop point to a blowoff device, record your findings to track the demand. By measuring your compressed air usage, you can locate the source of high usage areas and monitor the usage on each leg of the system. If the demand exceeds the supply, there is potential for problems to arise, such as lowered pressure and force from compressed air operated devices leading to irregular performance. EXAIR’s Digital Flowmeters are designed to measure flow continuously and accurately to give you real-time flow measurements of your compressed air system to help identify problems areas. Step 2 is to locate the source of waste. Again, compressed air leaks can result in a waste of up to 30% of a facility’s compressor output. A compressed air leak detection and repair program can save a facility this wasted air. Implementing such a program can be used as a way for a facility to “find” additional air compressor capacity for new projects. Whenever a leak occurs, it will generate an ultrasonic noise. Our Ultrasonic Leak Detector is designed to locate the source of ultrasonic sound emissions up to 20’ away. These ultrasonic sound emissions are converted to a range that can be heard by humans. The sound is 32 times lower in frequency than the sound being received, making the inaudible leaks, audible through the included headphones and the LED display gives a visual representation of the leak. The 3rd step involves finding the source of noisy and wasteful blowoffs, like open pipes or homemade blowoffs, and replacing them with an energy efficient, engineered solution. By replacing these devices, you are not only reducing the amount of waste but also improving operator safety by complying with OSHA safety requirements. EXAIR’s Digital Sound Level Meter is an easy to use instrument that measures and monitors the sound level pressure in a wide variety of industrial environments. 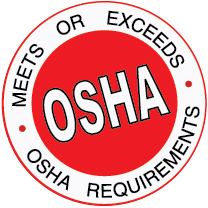 The source of loud noises can be quickly identified so that corrective measures can be taken to keep sound levels at or below OSHA maximum allowable exposure limits. The easiest way to reduce compressed air usage and save on operating expense is to turn off the compressed air to a device when it isn’t needed, step 4 in the process. Not only will this save money, in many cases, it can also simplify a process for the operator. A simple manual ball valve and a responsible operator can provide savings at every opportunity to shut down the air flow. For automated solutions, a solenoid valve can be operated from a machine’s control. For example, if the machine is off, or a conveyor has stopped – close the solenoid valve and save the air. A foot pedal valve offers a hands free solution to activate an air operated device only when needed, such as being implemented in an operator’s work station. For even more control, you can use a device like our EFC or Electronic Flow Control. This helps minimize compressed air usage by incorporating a programmable timing controlled (0.10 seconds to 120 hours) photoelectric sensor to turn off the compressed air supply when there are no parts present. It is suited for NEMA 4 environments and can be easily wired for 100-240VAC. Step 5, intermediate storage. Some applications require an intermittent demand for a high volume of compressed air. By installing a receiver tank near the point of high demand, there is an additional supply of compressed air available for a short duration. This will help eliminate fluctuations in pressure and volume. EXAIR offers a 60 gallon, ASME approved vertical steel tank with mounting feet for easy installation near high demand processes. Many pneumatic product manufacturers have a certain set of specifications regarding performance at stated input pressures. In many applications, or in the case of using a homemade blowoff device like open pipe, these wouldn’t necessarily require the full rated performance of the device or full line pressure. Controlling the air pressure at the point-of-use device will help to minimize air consumption and waste, step 6. By simply installing a pressure regulator on the supply side, you can start off at a low pressure setting and increase the pressure until the desired result is achieved. Not only will this help to conserve energy by only using the amount of air required for the application, it also allows you to fine tune the performance of the point-of-use device to match the application requirements. Compressed air is the most expensive utility for most industrial facilities. The energy costs associated with the generation of compressed air can be very high. 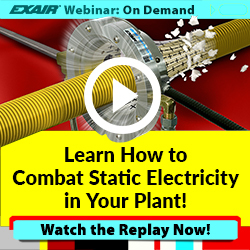 Because of this, EXAIR manufactures a wide range of products geared towards reducing your overall compressed air consumption. The best way to save compressed air is to simply turn it off when it’s not being used. This might seem pretty simple, but there may be processes in your facility where this couldn’t be achieved by just turning a valve. In applications where product is traveling along a conveyor, and must be dried, cooled, or blown off, there is likely some spacing in between the parts. It isn’t necessary to keep the blowoff running constantly if there’s periods of intermittent spacing. To help reduce the overall load on the air compressor, implementing a solution to shut the air off in between each part can have a dramatic impact. 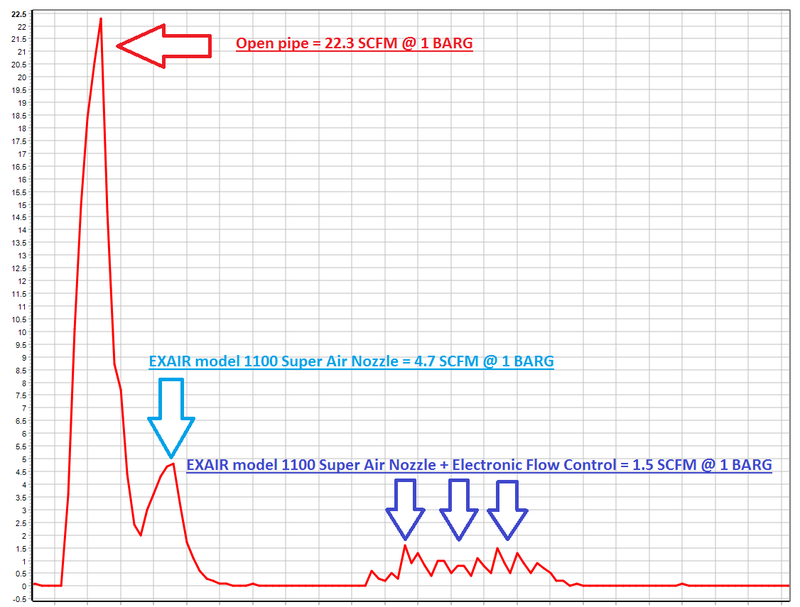 EXAIR’s Electronic Flow Control, or EFC, is designed to improve efficiency by reducing overall compressed air usage. It utilizes a photoelectric sensor that detects when the part is present. When it’s not, it triggers a solenoid valve to close and shut off the compressed air supply. Let’s take a look at an example that shows just how much air (and $$) an EFC can save. We had a manufacturer of car bumpers that was using a Model 112060 60” Super Ion Air Knife supplied at 40 PSIG to remove dust prior to a painting operation. The bumpers were moving at about 10’/minute and had 1’ of spacing in between each part. The bumpers are only under the blowoff for 10 seconds, while 6 seconds passed with no part present. With a (3) shift operation, this translates to 1,440 minutes of nonstop compressed air usage per day. A 60” Super Ion Air Knife will consume 102 scfm at 40 PSIG. Their current method was using a total of 146,880 SCFM. With the EFC installed, the air was shut off for 6 seconds reducing the airflow by 37.5%. With the EFC installed, the compressed air consumption per day was reduced to 91,800 SCF. As a general rule of thumb, compressed air costs $0.25/1,000 SCF. By saving 55,080 SCF per day, this manufacturer was able to save $13.77 per day. Since this was a 24 hour/day shift running 7 day/week, total savings for the year came in at $5,012.28. This easily recoups the costs of the EFC and then begins to pay you in less than 6 months. The EFC models available from stock can accommodate flows up to 350 SCFM. For applications requiring more compressed air, EFCs with dual solenoids are also available. If you have an application in one or more of your processes where intermittent compressed air use could help save you money, give us a call. We’d be happy to take a look at the application and help determine just how quickly the EFC could start paying YOU! This video highlights the value and benefits of an engineered blow off solution. We take a homemade open pipe blowoff and replace it with an EXAIR model 1100 Super Air Nozzle. This air nozzle is then controlled through our Electronic Flow Controller, allowing for intermittent On/Off of the compressed air flow. And, these solutions are wirelessly monitored via Zigbee network using our Wireless Digital Flowmeter. Implementing these solutions results in a compressed air reduction of over 90%!!! Full calculations along with supporting flow values (pulled from the same data shown in the video above) are shown below. Screengrab of the flow values shown in the video above. Click for larger image. The first compressed air flow values to show up on the EXAIR Logger are for the open pipe blow off. At 1 BAR operating pressure, this “solution” consumes 22.3 SCFM of compressed air. At a cost of $0.25 for every 1,000 cubic feet of compressed air, this nozzle will cost $695.76 to operate 8 hours per day, 5 days per week, 52 weeks per year. Model 1100 EXAIR Super Air Nozzles consumes 4.7 SCFM at an operating pressure of 1 BAR – a reduction of 79% compared to the open pipe. These savings prove out in terms of operating cost as well – $146.64 per year, compared to $695.76. By controlling the “ON” time for this application with an EFC, we are only blowing for 32% of the time for each minute of operation which changes the required compressed air flow from 4.7 SCFM to a peak value of 1.5 SCFM. This control saves an additional 68% of compressed air flow. 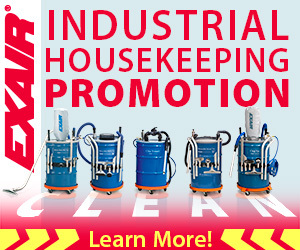 And, these savings are compounded by eliminating the need for constant compressed air flow. Total annual operating cost for the EXAIR 1100 Super Air Nozzle with Electronic Flow Control is just $46.80. Implementing an engineered solution can have a TREMENDOUS impact on energy costs and operating costs in your facility. Compressed air is the most expensive utility to produce and consume, making the impact of proper solutions of high value to any business. Let us help you utilize engineered compressed air solutions in your facility by contacting an EXAIR Application Engineer today. For over 34 years, EXAIR has been the industry leader in providing Intelligent Compressed Air Products to the industrial marketplace. While much of our focus is to ensure our products are engineered to provide optimal performance, we are also dedicated to manufacturing products that meet a wide range of standards and directives to promote safety in relation to plant personnel. For instance, all of our compressed air operated products meet or exceed OSHA Standards 29 CFR 1910.242(b), requiring that the outlet pressure of an open pipe, nozzle, air gun, etc., when used for cleaning purposes, must remain below 30 PSI when dead-ended against the skin, as well as Standard 29 CFR 1910.95(a) as a way to protect workers from job related injuries related to dangerous sound levels of 90 dBA and higher. 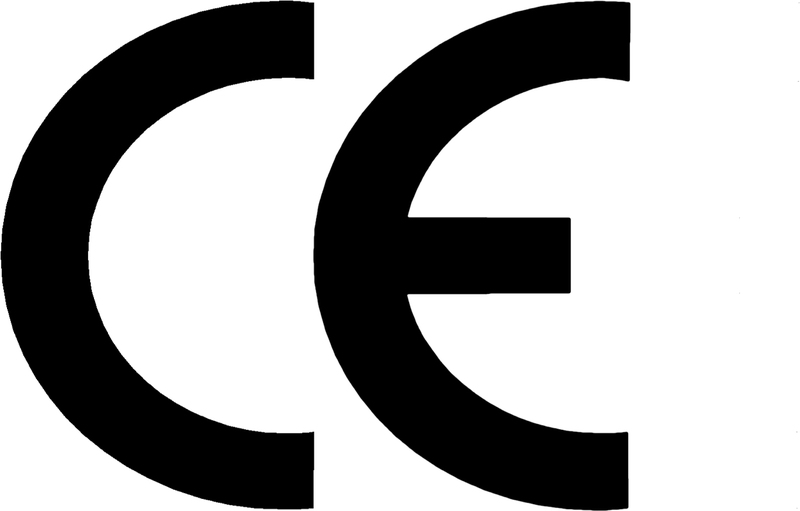 Many of our products are also CE Compliant, meeting the mandatory requirements for products intended to be sold in the European Economic Area or “EEA”. For example our Electronic Flow Control and Electronic Temperature Control (ETC) meet the EU (European Union) Low Voltage Directive 2006/95/EC. EXAIR electrically powered devices, like our Static Eliminators and Digital Flowmeters for example, comply with the “Restriction of Hazardous Substances” or RoHS Directive 2011/65/EU, including the amendment outlined in the European Commission decision L 214/65. We are also committed to providing material that supports the conflict mineral free rule to help aid in the relief of illegal trade of exotic materials, like tungsten, gold, tin and tantalum in the DRC region. Using the CMRT 4.20 template, we document our supply resources to ensure we provide conflict free products, as outlined in Section 1502 of the Dodd-Frank Wall Street Reform and Consumer Protection Act. 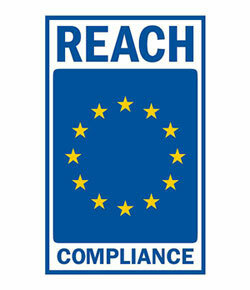 Lastly, the European Union introduced the REACH program – Registration, Evaluation, Authorization and Restriction of Chemicals, as a method to register chemical substances being imported into the EU to protect people and the environment, per Regulation (EC) No 1907/2006 Title I, Article 3. Also noted in the program, Title II, Article 7, they state that any product with a substance intended to be released under normal operating conditions, must be registered for quantities totaling more than 1 metric ton per year. Since EXAIR products do not intentionally release or contain any such substances, registration to meet the program is not required. If you have any questions about any of these Standards or Directives or about which EXAIR products comply, please feel free to contact an application engineer for assistance. We’d be happy to help! Using compressed air in the plant is common for many types of processes. Typical uses are drying, cooling, cleaning and conveying. Compressed air does have a cost to consider, and there are many ways to keep the usage and the costs as low as possible. The first step is to use an EXAIR Intelligent Compressed Air Product, which has been engineered to provide the most performance while using the least amount of compressed air. The next step is to control the use of the air, to only have it on when needed. EXAIR offers the EFC – Electronic Flow Control. It offers the most comprehensive method to maximize the efficiency of compressed air usage. It combines a photoelectric sensor with a timing control that operates a solenoid valve to turn on and off the air as required. With 8 different program types, an on/off mode that works with any process can be programmed ensuring that the minimum amount of compressed air is used. You can use the online EFC Savings Calculator to see how quickly the savings add up! Another method would be to use a solenoid valve with some other method of control. Depending on the process, the solenoid could be energized via a machine control output, or as simple as an electrical push button station. EXAIR offers solenoid valves in a variety of flow rates (from 40 to 350 SCFM) and voltages (24 VDC, 120 VAC and 240 VAC) to match the air flow requirements of the products we provide, while integrating into the facility and available supply voltages. For control of the Cabinet Cooler Systems, the ETC – Electronic Temperature Control, uses a thermocouple to measure cabinet temperature and cycle the system on and off to maintain a precise cabinet temperature, and provides a digital readout of the internal temperatures and on the fly adjustment. Also available is the Thermostat Control models, which utilize an adjustable bimetallic thermostat to control the solenoid valve, also cycling the unit on and off as needed to maintain a set cabinet temperature. There are several manual methods that can be used to control the compressed air. A simple valve can be used to turn the air off when not needed, whether at the end of the work day, at break time, or whenever the air isn’t required. We offer several options, from a foot controlled valve, to a magnetic base with on/off valve, to a simple quarter turn ball valve. To discuss your processes and how an EXAIR Intelligent Compressed Air Product can control the air supply and save you money, feel free to contact EXAIR and myself or one of our other Application Engineers can help you determine the best solution.